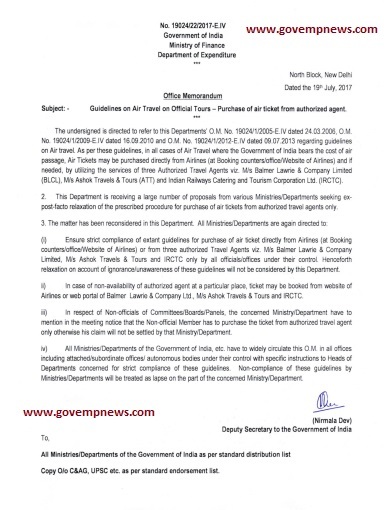 Sub: Guidelines on Air Travel on Official Tours - Purchase of air ticket from authorized agent. I am enclosing herewith a copy of the Office Memorandum no. 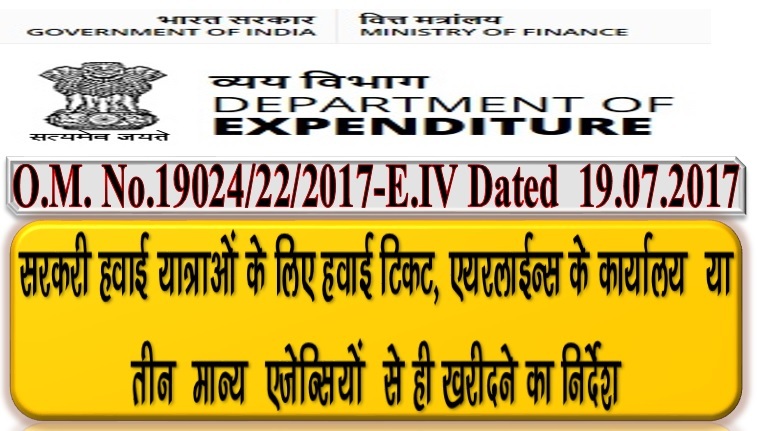 19024/22/2017-E.IV dated 19th July, 2017 issued by the Department of Expenditure, Ministry of Finance, Govt. of India on the subject cited above. 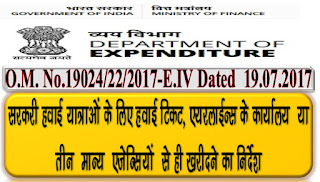 In this connection, all the Deputy Commissioners are requested to circulate the copy of the Office Memorandum to all Vidyalayas for its strict compliance.